HÀ NỘI — Most thermal power companies have reported lower earnings in the third quarter of 2018 as increasing rainfall reduces demand for heat energy. Cẩm Phả Thermal JSC (UPCoM: NCP) recorded losses of VNĐ102 billion (US$4.4 million) in the third quarter after having suffered VNĐ201.3 billion in the second quarter. The losses made over the past two quarters have resulted in accumulated losses of VNĐ303 billion for the firm during the nine-month period. According to Cẩm Phả Thermal JSC, the rainfall increased in the third quarter, leading to less demand for heat energy while the company had to suspend its plant operations for maintenance. The company also had to pay for fixed costs such as amortisation of its fixed assets, lending interest, power plant maintenance and difference in exchange rates. Those two factors made the firm’s revenue fall 10.2 per cent year on year while its financial and production costs rose by 65 per cent and 5 per cent respectively over one year. Hải Phòng Thermal Power JSC (UPCoM: HND) also encountered the same problems as it recorded a 10 per cent decline in third-quarter revenue, amounting to VNĐ1.76 trillion. In the quarter, the company posted a loss of VNĐ148 billion while making a profit of VNĐ106 billion in the same time of last year. After nine months, the company saw its profit drop by about 50 per cent year on year to VNĐ179.8 billion. 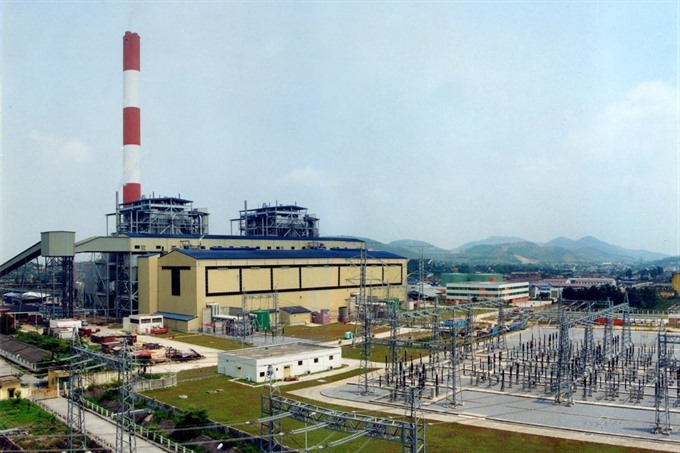 Hải Phòng Thermal Power JSC explained that as demand for thermal power was low in the third quarter, selling prices for the product were also low. In addition, the company had to separate one of its turbines for maintenance so its actual production was just 76 per cent of the capacity, leading to low revenue and profits from the power market. At the end of September, Cẩm Phả Thermal Power JSC and Hải Phòng Thermal Power JSC had VNĐ4.49 trillion and VNĐ7.9 trillion worth of loans respectively. In other cases, Bà Rịa Thermal Power JSC (HoSE: BTP) and Ninh Bình Thermal Power JSC (HNX: NBP) reported losses of VNĐ19.3 billion and VNĐ3.6 billion in the third quarter despite having been profitable in the previous two quarters. Bà Rịa Thermal Power JSC reported VNĐ206 billion in third-quarter revenue, down 44 per cent year on year. The other firm had its revenue fall 11 per cent year on year to only VNĐ2.2 billion. The two companies suffered losses because their financial and management expenses overwhelmed their revenues. Another thermal power company, Phả Lại Thermal Power JSC (HoSE: PPC), posted the three-quarter lowest net revenue of VNĐ1.26 trillion, which was down 14.4 per cent year on year.